Fall head over heels in love with your Goddess self and your life! 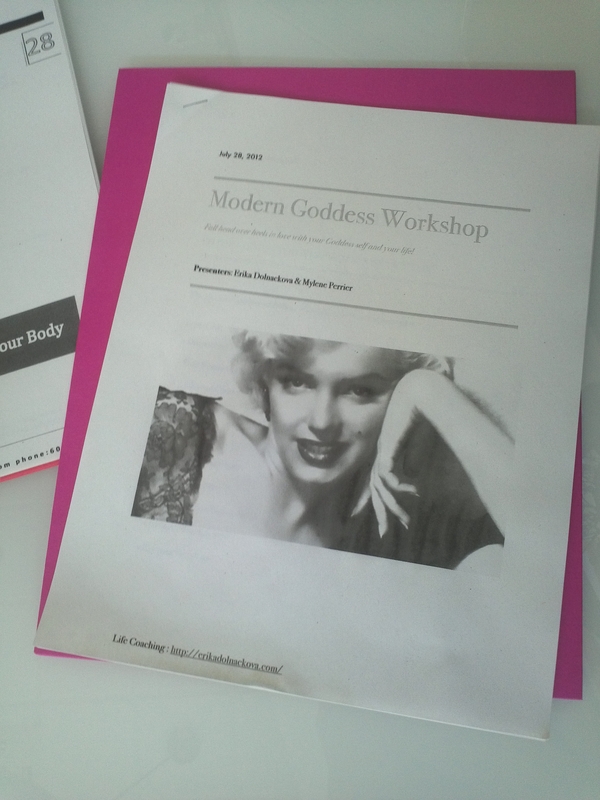 The last Modern Goddess workshop was a blast. It is always an energizing time to get together with like minded women ready to step into their full power and enjoy life in new ways. My intention for these workshops is to give the women attending an opportunity to become fully aware of the advantages that allowing the feminine energy to dominate your life offers. For a while now we have been living in a world dominated by Masculine energy and now we are creating a new, gentle shift to start functioning in a more heart centered and grounded ways. There is lost of healing present in this shift and Iam very excited to be exploring this with the wonderful, radiant and curious women that come to our Modern Goddess workshops. There are two primary types of energies that we all run every day: Feminine and Masculine. They both have different qualities and express them selves in very distinct ways. Balancing those energies and integrating them in the most effective can create powerful shifts that will require little energy and time. Feminine energy is more passive you could say. It is a receptive energy and really reflects on our ability to ATTRACT everything that we experience to us. The Masculine energy is expressed by our ability to take action, do and do and do … and achieve (instead od attract sometimes). It is important that we take action on what we believe will support us but if we are out of alignment energetically, doing will only go so far. 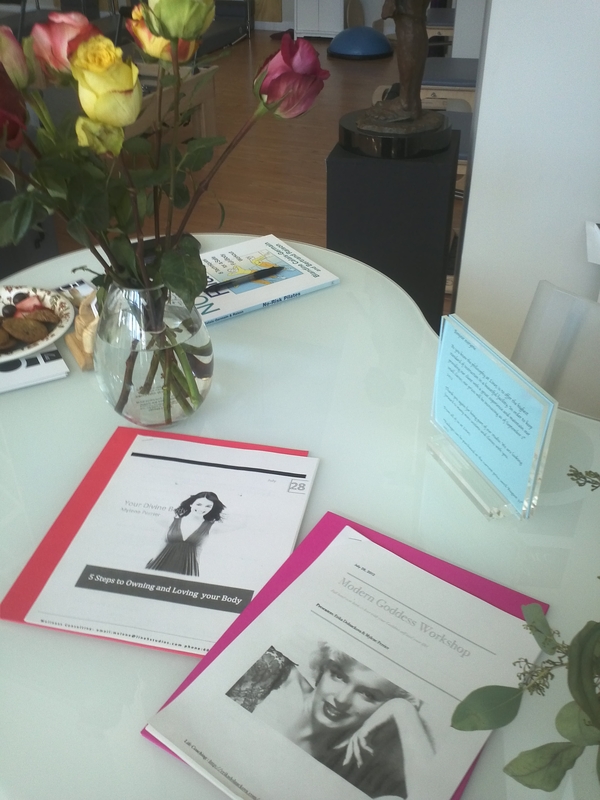 Each Goddess attending our workshops received a work-book with all the tools we explored in each segment. To me, the most valuable thing I take from each workshop I attend are my own personal notes. 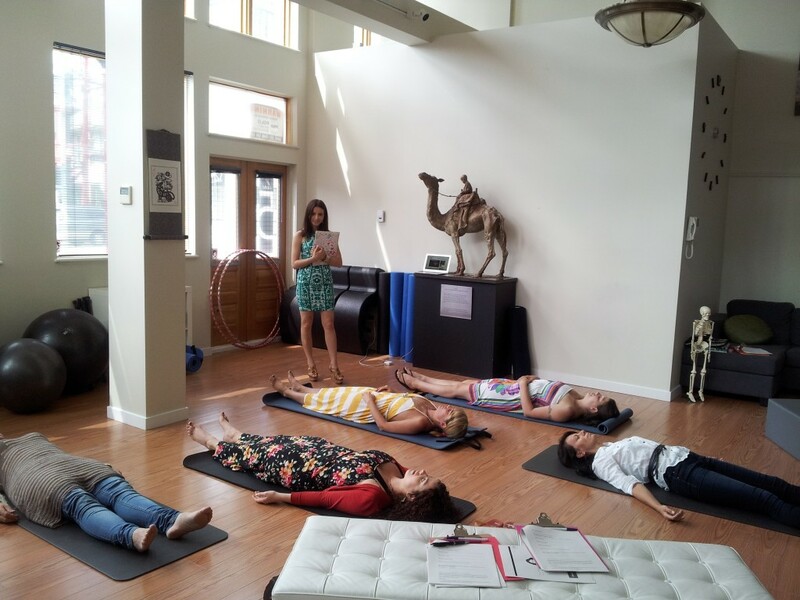 So I like to provide the space and ability to do so at my workshops. The work-book is structured purposely in a way that allows for plenty of notes and even for working on the exercises further at home (after the workshop). Who is YOUR Future Goddess Self ? She is is you in your full manifesting power as a woman. During the workshop we went on a journey to meet our Future Goddess selves and to use this experience to tap into our power to create the life we want and deserve as women. When you fully step into this new Goddess persona, you will attract/have her life as well. I am grateful for the wonderful experience this workshop was for me and for my wonderful partner Mylene. We really enjoyed sharing our wisdom and our passion for living balanced, happy life. So, till the next time. I cannot wait. My Favorite Things about This Summer – The Little Things to Enjoy in Life.